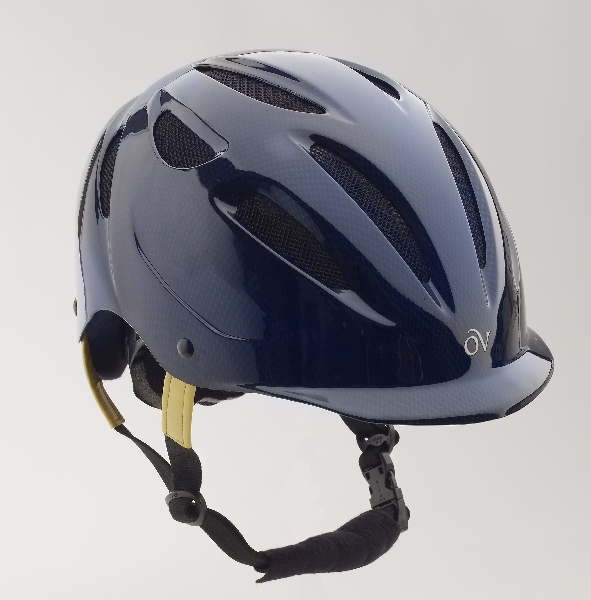 Ovation The ASTM-SEI certified Protégé is one of the lightest and most comfortable helmets on the market. 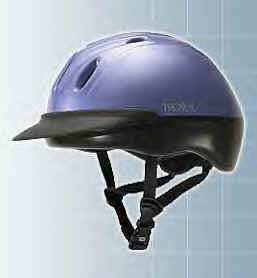 Made of lightweight, high density ABS material. 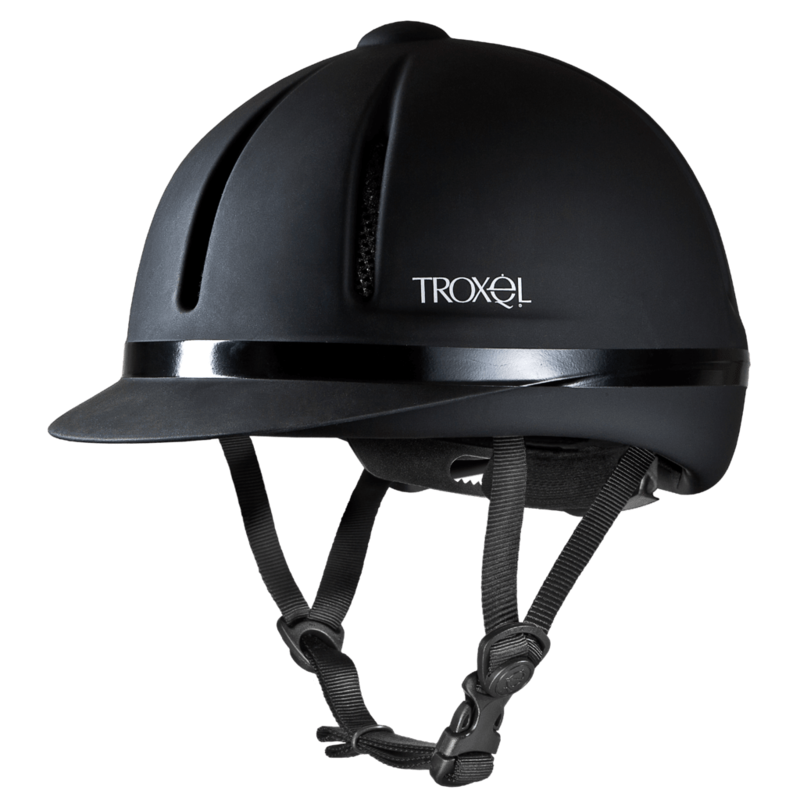 Legacy This stylish narrow profile helmet provides a great fit due to Troxel’s GPS II dial fit technology. 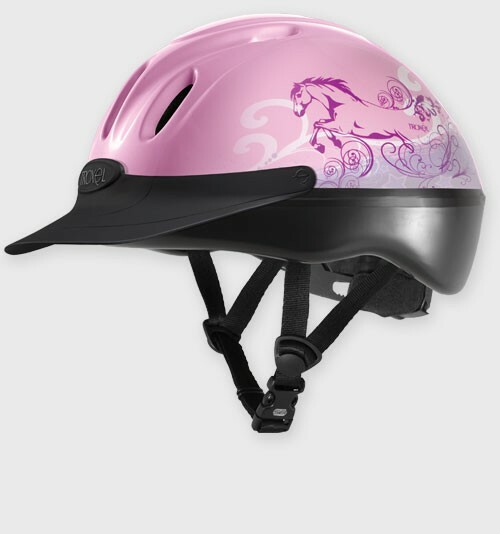 The special small/youth size is perfect for adolescents and smaller head sizes. 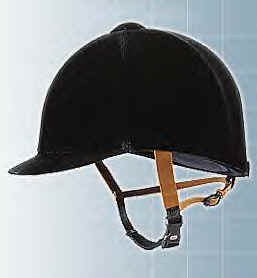 offers a deep fit, slim profile in a richly detailed versatile helmet. 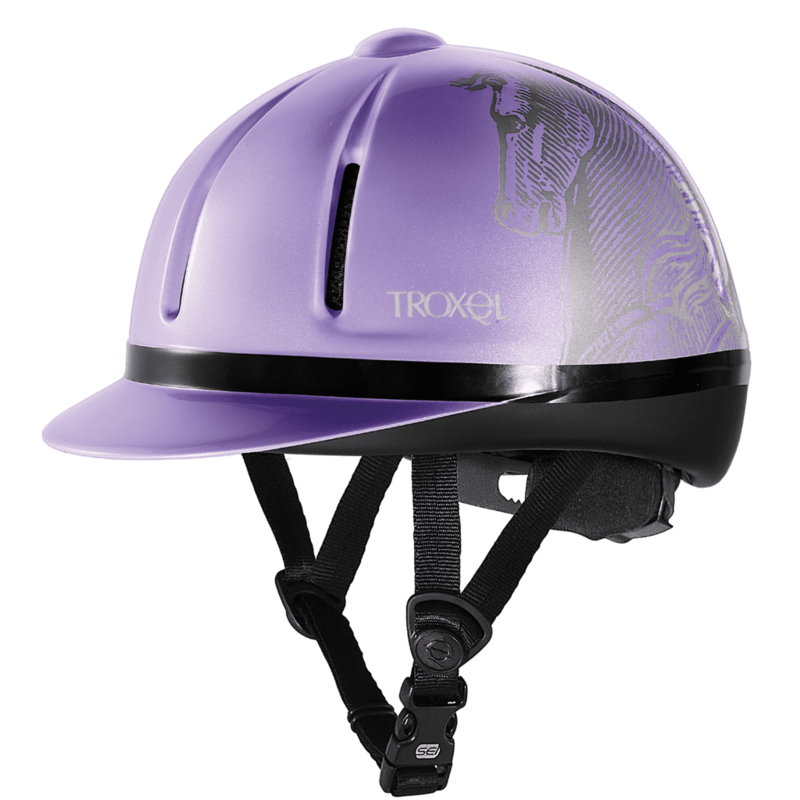 This lightweight helmet features a Duratec™ matte finish for increased durability and ageless look. 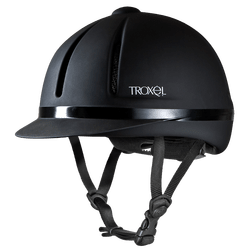 The hunt cap styling offers a classic look in a vented schooling helmet that quickly converts to a show helmet by placing a Troxel Velveteen Cover over it. With the GPS III™ Mirco-Adjustable Fit System the Legacy Duratec™ stays in place and is extremely comfortable and easy to fit.